After a stellar showing in the final tourney of the season, freshman Kevin Roy was named Big West Conference player of the month. 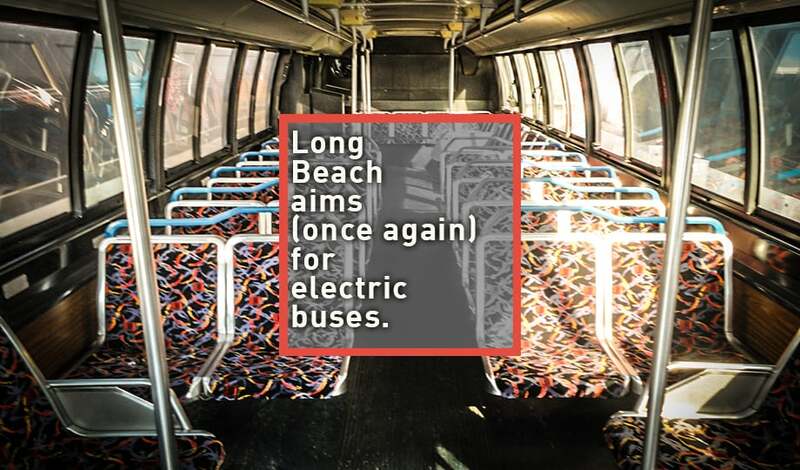 After a tumultuous attempt at procuring a mini-fleet of electric, zero-emission buses (ZEBs), which ultimately resulted in failure, Long Beach Transit (LBT) has restarted the Request for Proposal (RFP) process to build 10 ZEBs. The LBT board unanimously agreed yesterday that Kenneth McDonald, LBT’s President and CEO, will solicit the proposals beginning today. The bid will be paid for partially through the Department of Transportation’s Transit Investments for Greenhouse Gas and Energy Reduction (TIGGER) grant, which was awarded to LBT nearly three years ago. According to McDonald, the FTA has not altered the grant that it awarded to LBT; questions were previously raised as to whether LBT would still receive the funds due to deadlines related to the grant. RFP responses will be due back at the beginning of the year. Now that BYD’s buses have passed Altoona testing, following issues with their quality coming into play during testing, the company is eligible to re-bid on the LBT contract, though questions still remain in regard to how LBT will go about procuring the ZEB fleet with “excellent due diligence.” Given that BYD’s original bid was riddled with bogus numbers that LBT claimed to have vetted, special care will need to be given as to how the transit company approaches its next bidder. Controversy surrounded LBT’s previous decision to go with China-based bus manufacturer BYD for its initial ZEB procurement back in March of 2013. Once news hit that BYD was ineligible for the federal funding it received for LBT’s proposed electric bus fleet, records revealed multiple inconsistencies in customer profile numbers provided on the company’s original bid for the contract—numbers that LBT claimed to have vetted at the time. In a February 25, 2013 staff presentation to LBT Boardmembers, LBT staff listed the customers BYD has done business with, along with the number of buses sold and the number delivered. According to LBT, the numbers provided to the Board were those BYD submitted with their RFP bid to LBT in late 2012, which followed LBT receiving the $9.1M federal TIGGER grant in 2011. According to the report, BYD’s largest customer is the Shenzhen Bus Group, which is listed as having 742 busses sold and 502 delivered to the massive city in southern China’s Guangdong province. However, according to the company’s own annual report in 2012, only 200 had been delivered by the end of 2012—shortly before LBT staff recommended BYD to the LBT board. By 2013, that number had climbed to 220, still 282 shy of the number claimed on the bid. Kevin Lee of LBT told the Long Beach Business Journal on March 25, 2013 that LBT conducted “company reference checks with some of the larger purchasers of BYD vehicles, such as those in China and Milan” to vet the numbers BYD claimed in their bid. While BYD’s own annual report has revealed some discrepancies in the company’s LBT bid claims, news organizations from around the world—in covering local transit developments—eventually brought to light further inconsistencies. BYD’s second-largest customer according to the bid, Hunan Transit in Changsha, was reported to have ordered 101 buses with all 101 delivered by December 2012; however, come July of 2013, one outlet reported that only 30 buses had been delivered. Additionally, the customer listed as the bus manufacturer’s fourth-largest, KMB of Kowloon, Hong Kong, was reported by BYD to have ordered 29 buses with 15 delivered by the end of 2012; yet news sources claim KMB didn’t receive their first electric bus until September of 2013, when a single BYD bus was being tested on multiple KMB routes. At the time, Secretary for the Environment Wong Kam-sing of Hong Kong said the government is planning on spending US$23M on procuring 36 electric buses, of which KMB plans to acquire 18. Another customer listed on the LBT bid, Barcelona’s Transports Metropolitans de Barcelona (TMB), was reported by BYD to have purchased 20 buses, with six being delivered. According to TMB, however, the transit authority received its first and only bus on loan from BYD on August 30, 2013. The two-year rental agreement entered into at the time between TMB and BYD states that the bus will be on trial with the option to buy it following the rental. Bogotá, the capital of Columbia, was also listed as having been sold 10 buses with eight delivered by the end of 2012. Though there was a test of BYD’s buses through the partnership between Clinton Climate Initiative and the InterAmerican Development Bank in order to compare CNG/hybrid buses to electric buses in 2012, no orders were placed to be put into actual fleets by the deadline for LBT’s RFP. In fact, Bogotá did not complete its first trial run of a single BYD bus until September of 2013. ATM, the transit agency for Milan, Italy, has not responded to requests for confirmation of the numbers BYD claimed on its RFP bid, but BYD posted on their Facebook in January of 2013 that trial runs had not even begun yet in Milan, despite stating on its submitted customer profile that two buses had been sold and delivered. BYD Motors did not return multiple requests for proof of the numbers it submitted on its bid for Long Beach’s electric bus fleet. These inconsistencies follow several snags the U.S. subsidiary of Chinese company BYD has experienced since winning the LBT contract in March 2013. Without BYD being eligible for the $6.7M from the TIGGER grant and the $2M from the Clean Fuels program, LBT was left with two choices: stick with BYD and come up with $9.7M of the $12.1M contract itself, or cancel the contract and re-bid. LBT ultimately decided on the latter.